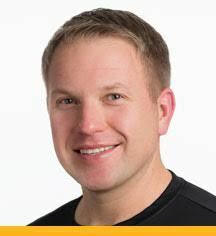 Erik Treese is a National Academy of Sports Medicine Certified Personal Trainer as well as an Aerobic and Fitness Association of America Certified Group Fitness Instructor. He supplements his own daily fitness by keeping up with 4 daughters aged 6, 7, 9, and 2 months! Erik combines his energetic personality with his military, coaching, and education backgrounds to deliver a fun, inclusive, and invigorating workout! Always encouraging with a positive upbeat attitude! He believes that people of all ages, ability levels, and conditioning can participate and benefit in a group training setting. In fact he has a Fitness Success Equation: Having Fun + Sweating = Results! He has experience delivering group fitness classes for the following groups; West Cook YMCA, the Township of Oak Park, and the Greater Chicago Food Depository. He adjusts his fitness programs to fit his audience. Pre-K, and elementary school, high school thru collegiate, amateur and professional athletes, and beginners through advanced level participants.